Juvenile deer mouse. He must have been fearless or ill. I took this with an iPhone at close range. Update to elevated hantavirus risk warning issued April, 5. As of April 26, 2017, the invasion of Deer mice appears to be continuing. With the spring weather they are in their breeding season and are at least as much of a threat as they were during the period in which the three recent confirmed cases occurred. For this reason, The warning I'm extending the warning issued below until further updates. The risk will likely decline with dry, warm, summer weather, if we get that. A cluster of sin nombre hantavirus cases comprising at least three people has occurred in Western Washington. This, combined with observations of the local environments of these patients, makes it possible and appropriate to warn of an elevated risk of contracting hantavirus in similar areas for the near future. This warning is intended to have greater specificity than those issued by local health authorities. Observations have confirmed that all three of these recent hantavirus patients, along with an earlier (1999) case near Monroe, lived in areas with significant populations of big leaf maple trees. 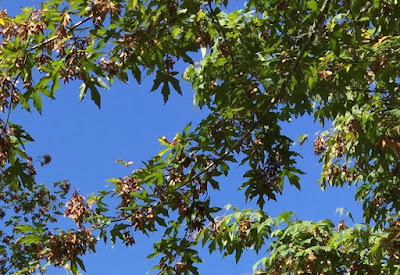 These trees have recently produced very large crops of maple seeds that are a favored food for deer mice, the local reservoir species for hantavirus. This has resulted in what appears to be greater abundance of deer mice in the area. 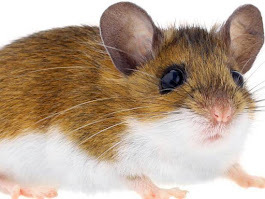 In general, a higher population of deer mice leads to a higher portion of the deer mice contracting hantavirus, and to more of them shedding hantavirus particles in their urine and feces. This means that it is likely that there are both a greater number of deer mice, and that they shedding a greater amount of hantavirus than is usually the case. In addition, heavy rainfall in Western Washington has placed these deer mice under environmental stress, their food sources are now depleted and rotting and their underground burrows are often flooded. As a result, there exists an increase in the number of deer mouse intrusions into human homes, vehicles, outbuildings, garages, and vehicle cabin air handling systems. Big leaf maples trees with massive seed clusters. Fall, 2016. The leaves are 10" to 12" across. a higher abundance of deer mice shedding hantavirus particles at a greater than usual rate, combined with an increased rate of incursion into human environments, has produced an elevated risk of humans contracting hantavirus. If your property has big leaf maple trees, or adjoins areas that do, you should take particular care to avoid breathing in dust from mouse debris. This includes extra caution cleaning garages, outbuildings, vehicles, and other areas where these extremely common mice have intruded. Areas without these trees may also see an increased risk because of ground water saturation driving mice from burrows and rodent spillover from adjacent areas. The cabin air handling system in a vehicle is suspected in one of these local cases. The filters in these systems in automobiles, trucks, and tractors that have been parked in areas with big leaf maple trees should be inspected for rodent infestation and replaced as needed. Inspection should take place while wearing respirator mask and gloves. I posted a more detailed analysis of this threat weeks ago, before the third recent local case was reported. Some of the qualifying words could be adjusted, but most of this discussion from March 17 is still correct. 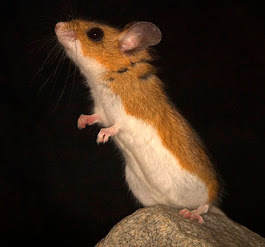 For detailed directions for cleaning up deer mouse debris, look here for a CDC brochure. Hi- can you please post symptom information? Specifically a timeline of your wife's symptoms as she grew I'll? Thank you for this site and al the information. I'll be collecting and comparing symptom descriptions from survivors, including my wife, very soon, and will post their comments on how accurately the following descriptions captured and described their symptoms. She had fairly classic HPS, with prodrome lasting 6 days and unknown incubation period. She was then on the vent for six days and in ICU for 10. Nausea, vomiting, diarrhea, and belly pain. A fast heartbeat and fast breathing. These are signs of fluid buildup in the lungs (pulmonary edema). After a person with HPS starts having trouble breathing, he or she may die within hours. Most deaths occur within 1 to 2 days after severe breathing problems begin. About 4 out of 10 people who get HPS do not survive. The signs and symptoms of hantavirus pulmonary syndrome can worsen suddenly and may quickly become life-threatening. If you've been around rodents or rodent droppings and have signs and symptoms of fever, chills, muscle aches or any difficulties breathing, seek immediate medical attention. Due to the small number of HPS cases, the “incubation time” is not positively known. However, on the basis of limited information, it appears that symptoms may develop between 1 and 8 weeks after exposure to fresh urine, droppings, or saliva of infected rodents. Early symptoms include fatigue, fever and muscle aches, especially in the large muscle groups—thighs, hips, back, and sometimes shoulders. These symptoms are universal. There may also be headaches, dizziness, chills, and abdominal problems, such as nausea, vomiting, diarrhea, and abdominal pain. About half of all HPS patients experience these symptoms. Four to 10 days after the initial phase of illness, the late symptoms of HPS appear. These include coughing and shortness of breath, with the sensation of, as one survivor put it, a “…tight band around my chest and a pillow over my face” as the lungs fill with fluid. Yes. HPS can be fatal. It has a mortality rate of 38%. Thank you for posting this information! I recently learned that the third case of HPS was in my own neighborhood, 5 houses away. That makes 2 of these extremely rare cases both on Squak Mountain. Why hasn't King County Public Health been more aggressive on this and warn eastside residents of this threat??? All I've heard from them in their announcements and my calls is how rare it is and that it's a good practice to avoid mice and they recommend medical care if you have flu-like symptoms. Really? I had to research sites like yours about the 2 phases (the fever/flu/aches stage and the deadly respiratory stage). I don't think they see the gravity of the situation. Let's hope we get through this without more cases. My 3 year old son has been sick for 10 days. He tells me his back and belly hurt and has had a fever and cough. When I took him to the dr she looked at me like I was crazy when I mentioned hanta and said the chances were remote even after I told her that we had been exposed through a rodent and its droppings in my car. She did listen to his lungs (they sounded clear) and test his oxygen (99%) but I am not sure if I should still worry that he could be in the first stages of hanta. She prescribed amoxicillin for what she thinks is strep, even though the strep test came back negative. Hi Folks, thank you for your comments. The prodrome phase of hantavirus is less than 10 days, so your son is very unlikely to be ill with that, and it is likely something else. Many of these things are never really diagnosed. Docs often prescribe an antibiotic to cover that base, because they can, even if they are not sure. No real treatment for viral illness aside from supportive care. Be sure to seek medical attention if fever gets high or condition worsens or doesn't get better. King County health folks are getting better on their hantavirus coverage (imho) and have made a number of changes to their website along the lines that I've suggested, but they still seem to believe it is their primary job to tell people not to worry, rather than to provide people with information to make good choices. They have a lot of other diseases to worry about, but I'll keep helping them to make this better. I am very concerned about us getting through these next coupe months with no more cases. Please help inform your neighbors to take precautions cleaning. Can't thank you enough for taking the time out of your schedule to provide this good information for others. Good stuff. I'm in Academic publishing with a life science background, and a bit of pathological OCD. I've been researching the next truck I'm going to purchase, with a goal of knowing where to access and put up metal mesh barriers for the climate control systems. I've been going through respective make/model online forums, and the prevalence of mice setting up house on top of the cabin air-filters, particularly in the North/Mountain states is alarming. Exposure appears to be super-frequent, but still the epidemiology - the zebra spotting is low. Which gets me thinking about seroprevalence and how many exposed to SNV actually develop HPS. But yeah, most vehicles have roughly similar AC/Heater systems, with basically un-shielded intakes under the wiper cowling. The systems could obviously be designed to be a little more rodent resistant with little cost increase. I agree that the CDC, state and probably automakers need to be aware, and take some action.